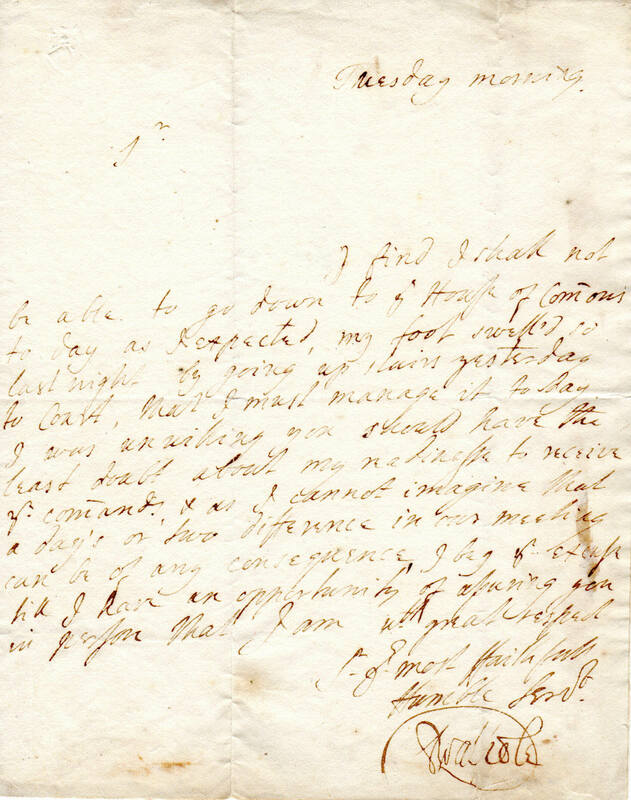 This is a wonderful, original letter dated 1727, where Robert Walpole has written and signed a letter regarding his inability to attend the House of Commons today, as he hurt his foot climbing the steps to the court....signed R. Walpole. 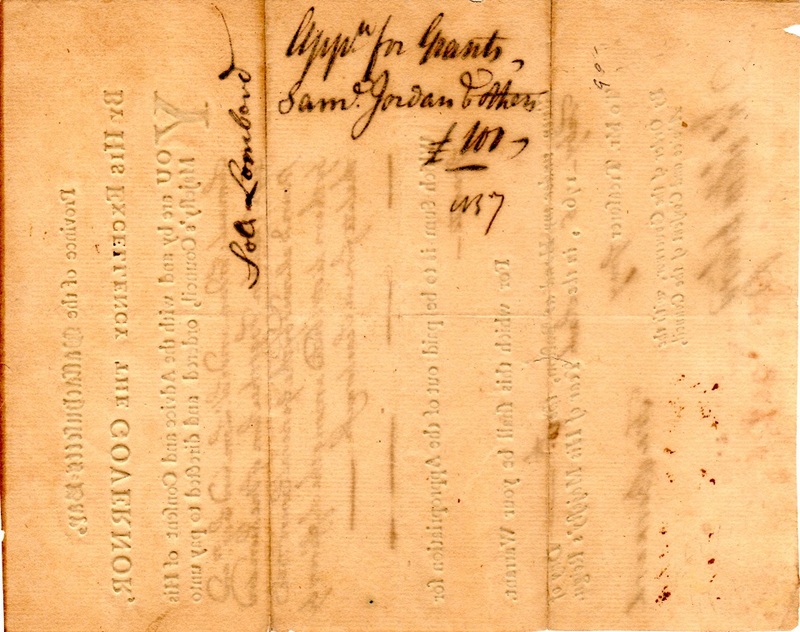 Letter is 8x10, blank outer leaf, minor faults to paper, else in overall very good condition. Robert Walpole, 1st Earl of Orford, (26 August 1676 – 18 March 1745), known before 1742 as Sir Robert Walpole, was a British statesman who is generally regarded as the first Prime Minister of Great Britain. Although the position of "Prime Minister" had no recognition in law or official use at the time, Walpole is nevertheless acknowledged as having held the office de facto because of his influence within the Cabinet. 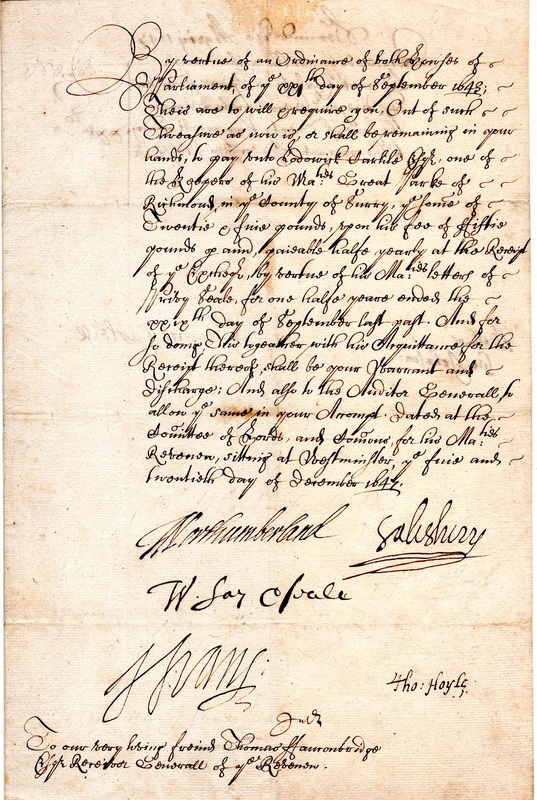 This is a wonderful, original document, dated 1719, where James, 3rd Earl of Berkeley, Vice Admiral, has signed the transfer of all South Sea Stocks purchased by the Countess, Dowager of Berkely.....signed at lower right by Berkeley. 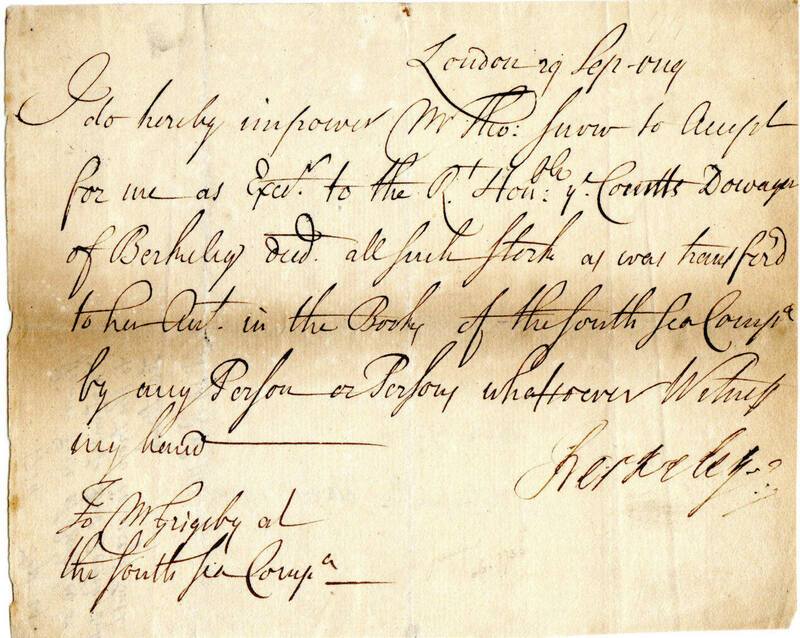 Document is 4x6, age toned, else a scarce South Sea document. James Berkeley, 3rd Earl of Berkeley (aft. 1679 – 17 August 1736) was the son of Charles Berkeley, 2nd Earl of Berkeley and the Hon. Elizabeth Noel. 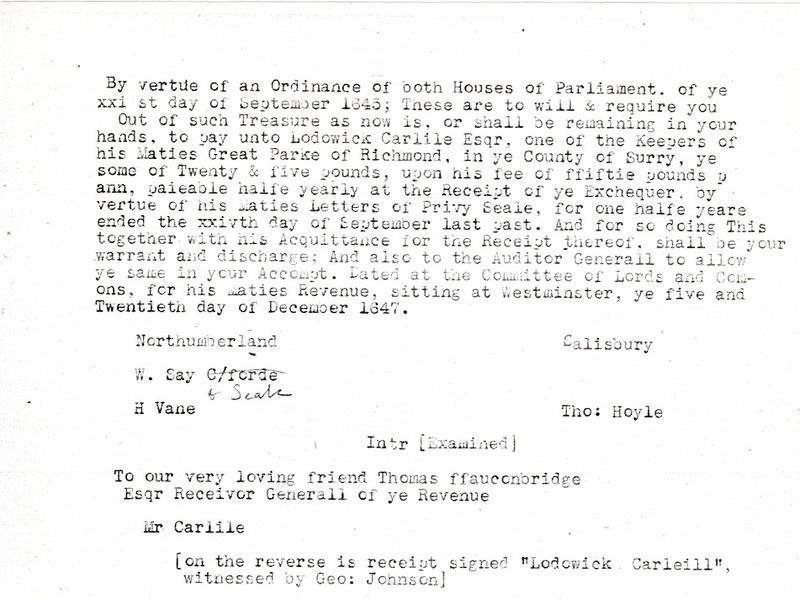 He was known by the courtesy title of Viscount Dursley prior to succeeding as Earl of Berkeley in 1710. He was a distinguished Royal Navy officer who served as First Lord of the Admiralty during the reign of King George I. This item is a wonderful,original document, dated May ,1767 between Benjamin Beckford of Beverly and Captain Nathan Leech for a Charter Party Voyage to the West Indies.Captain Leech will be entitled to one fourth of the ship, providing he brings her back in one piece. Signed at bottom by Benjamin Beckford, David Britton and Jonathan Batchelder Jr. 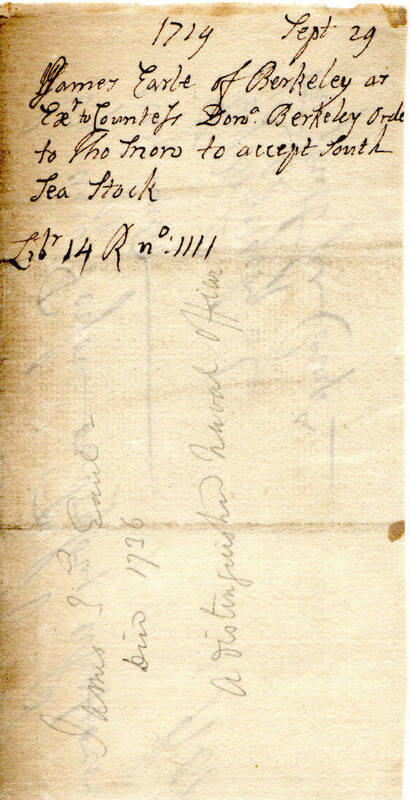 Document is 8x14, age toned, else in overall fine condition. 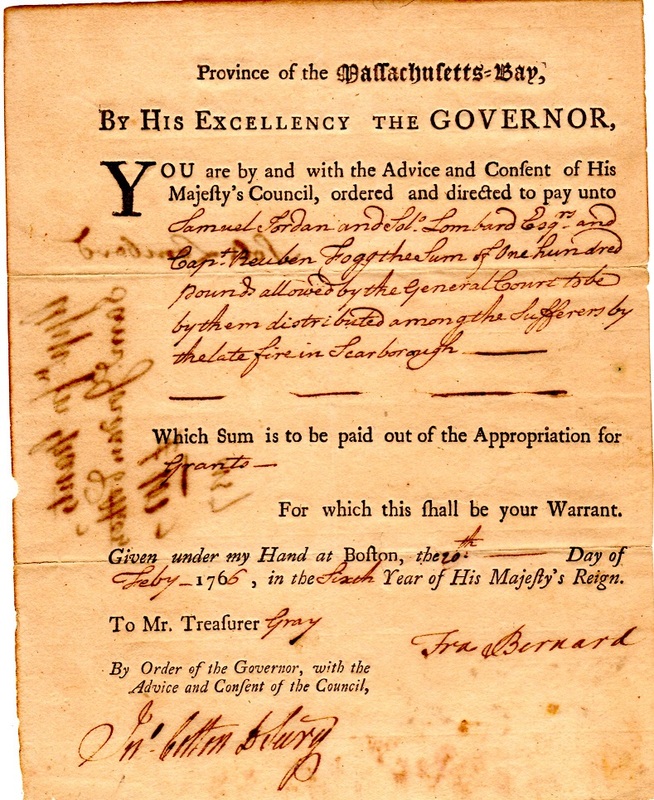 This is a wonderful, original document, dated 1766, Massachusetts, where Governor Francis Bernard has signed a pay order to Samuel Jordan, Solomon Lombard and Captain Reuben Fogg to distribute 100 pounds to the sufferers of the late fire of Scarborough, Maine...signed by Bernard at lower right and by John Cotton as Deputy Secretary. 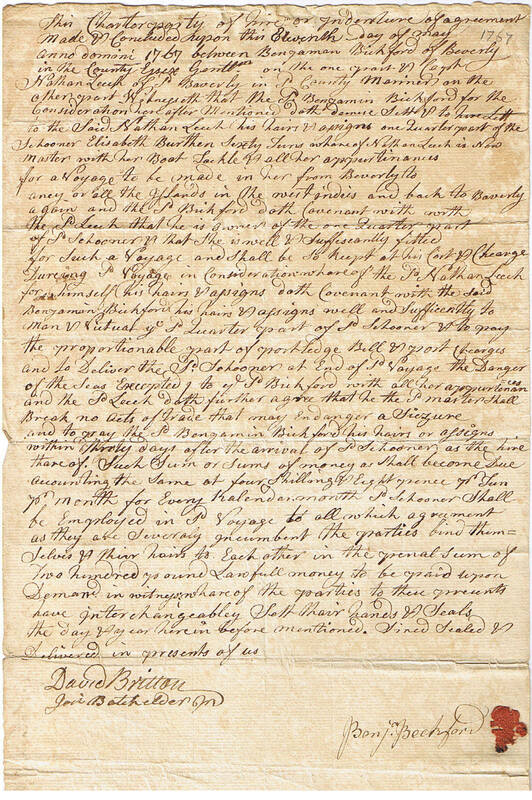 Document is 6x8, overall very good condition. Sir Francis Bernard, 1st Baronet (bapt. 12 July 1712 – 16 June 1779) was a British colonial administrator who served as governor of the provinces of New Jersey and Massachusetts Bay. His uncompromising policies and harsh tactics in Massachusetts angered the colonists and were instrumental in the building of broad-based opposition within the province to the rule of Parliament in the events leading to the American Revolution. 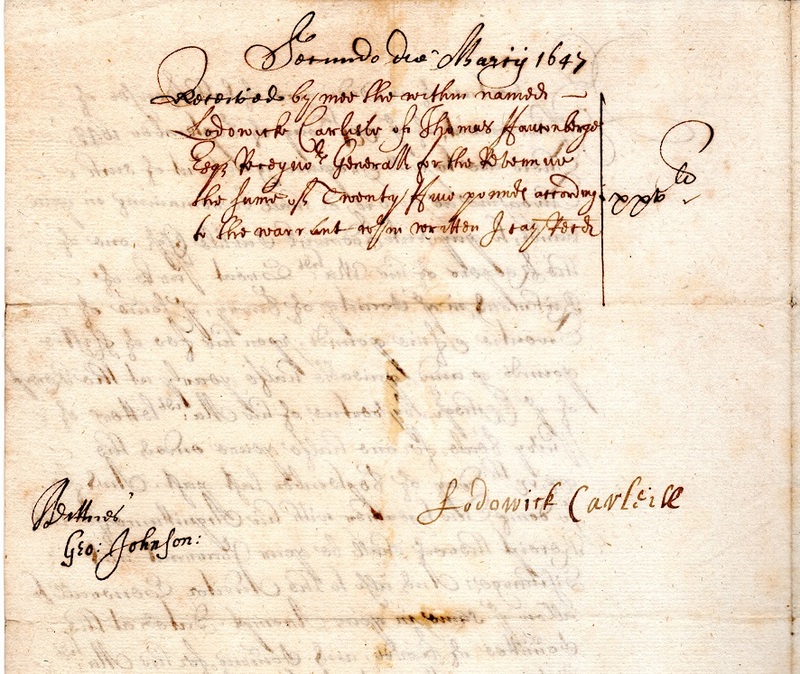 This is a wonderful, orignal document, dated 1647, a payment to Lodwick Carlisle for his services as keeper of the Great Park at Richmond....signed at bottom by Earl of Northumberland, Earl of Salisbury, William Say, Thomas Hoyle and Henry Vane on front and by Lodwicke Carlisle. Document is 8x11, overall fine shape. Copyright 2010 Paper Trails. All rights reserved.